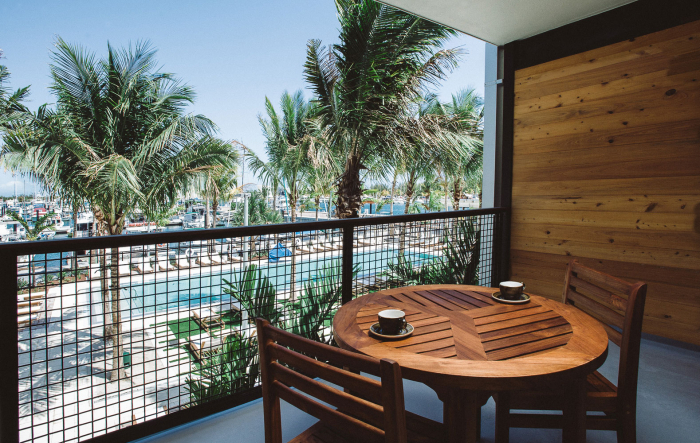 Your perfect refuge in the perfect location, these sweet accommodations come with spacious balconies overlooking the marina. First floor Stock Island rooms include poolside access. 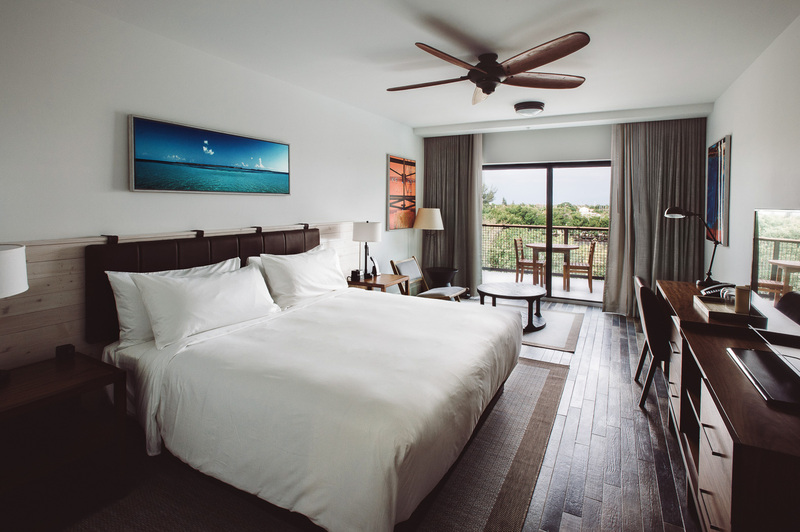 Fall asleep in a cozy bed in this spacious guest room, featuring a private balcony with breathtaking views of the Bernstein Park, the saltwater lagoon, and beyond. 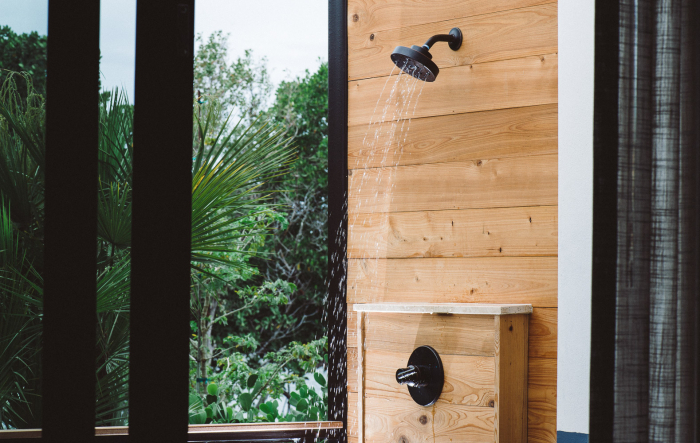 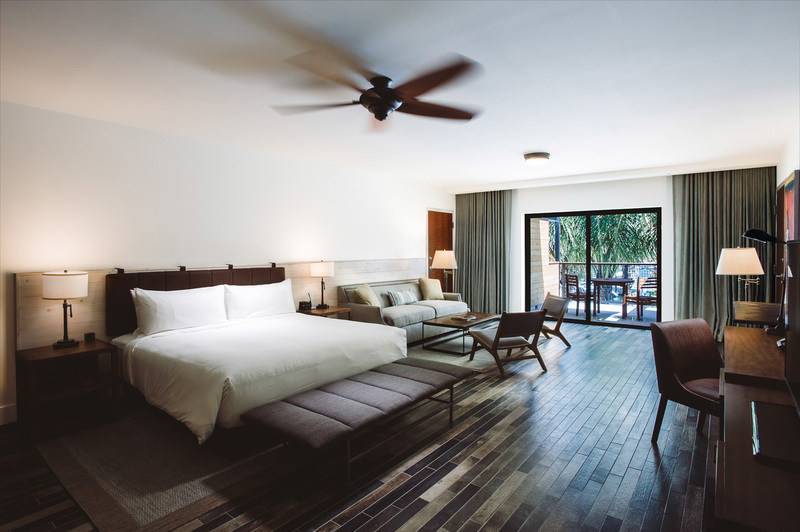 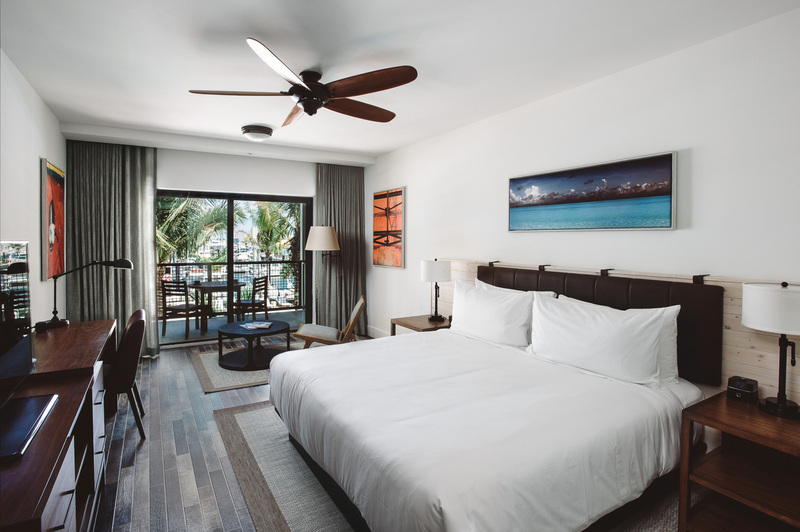 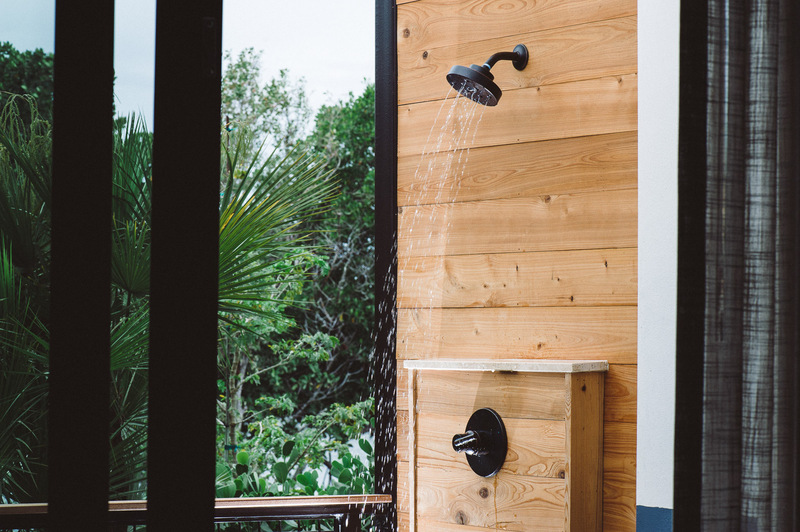 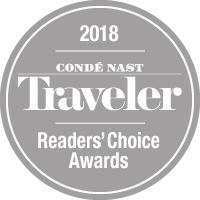 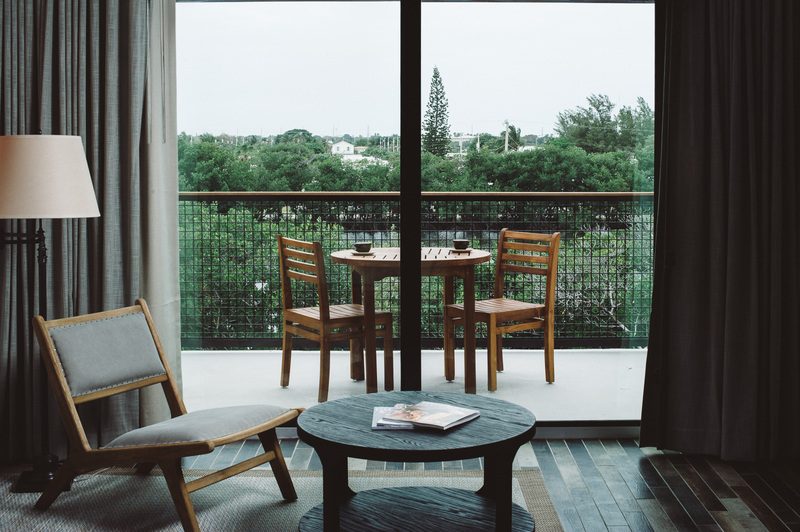 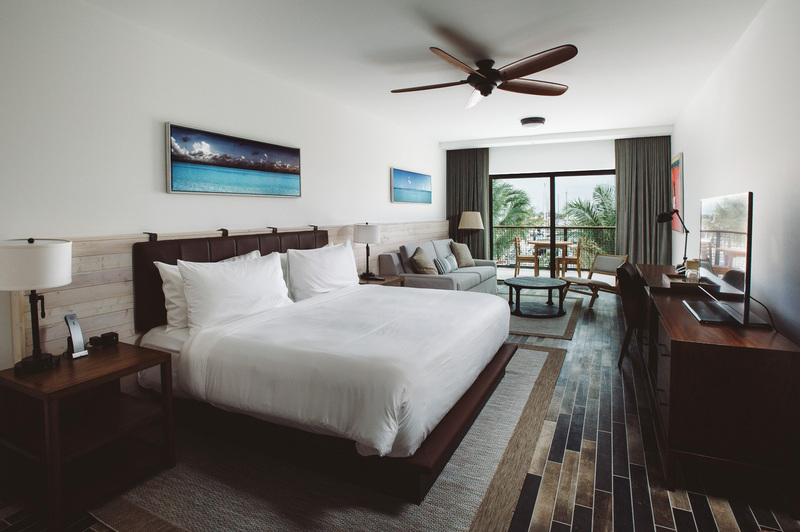 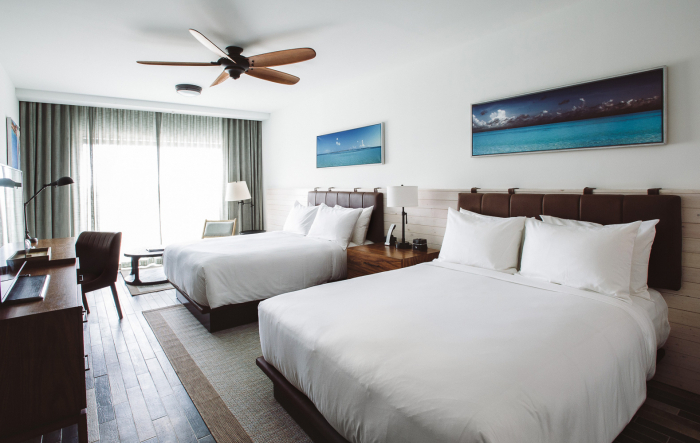 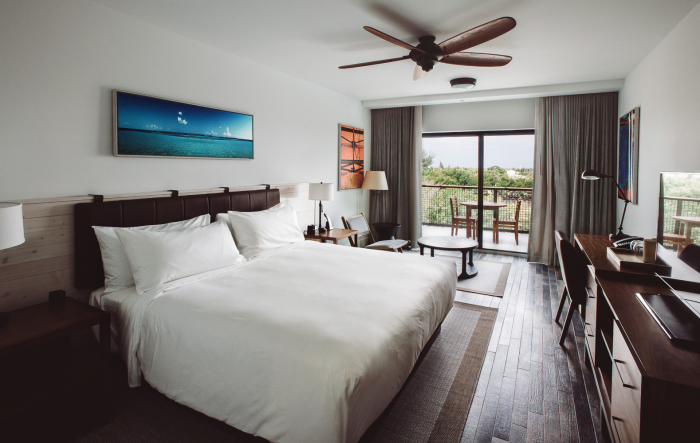 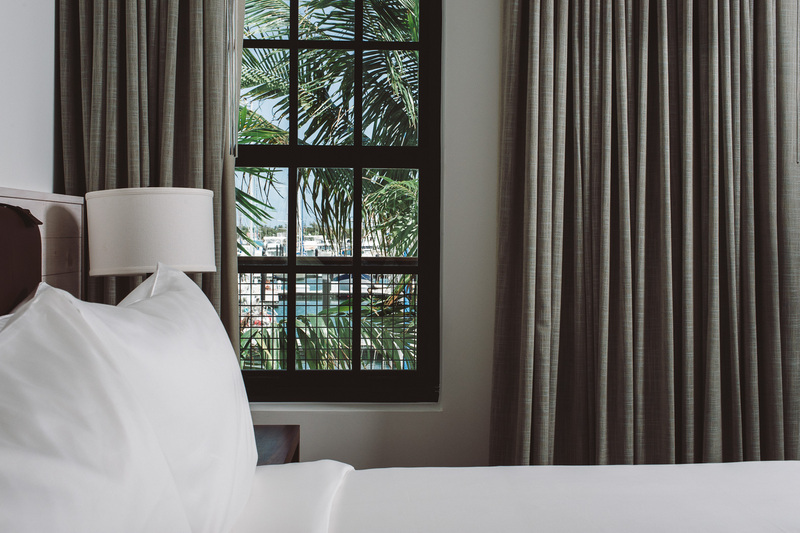 Located on the first floor with views of the mangrove-lined Shrimp Road and the saltwater lagoon, each of these stylish rooms features a breezy, oversized balcony with an open air outdoor shower. 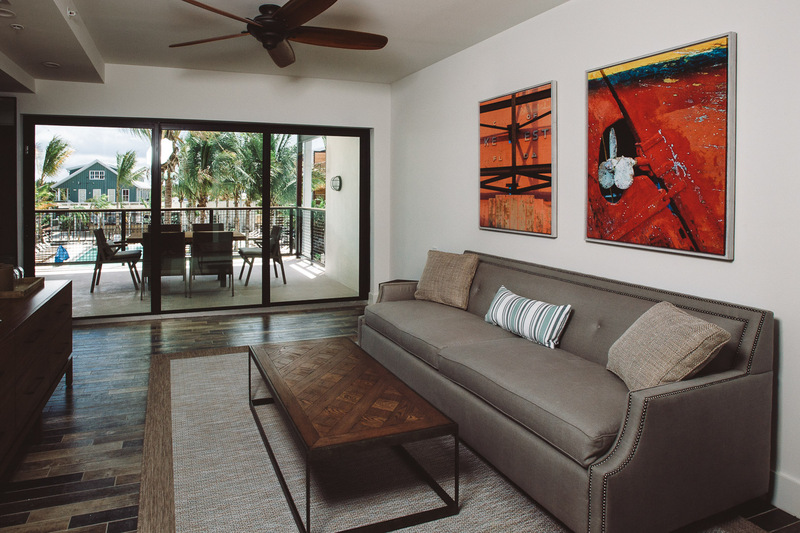 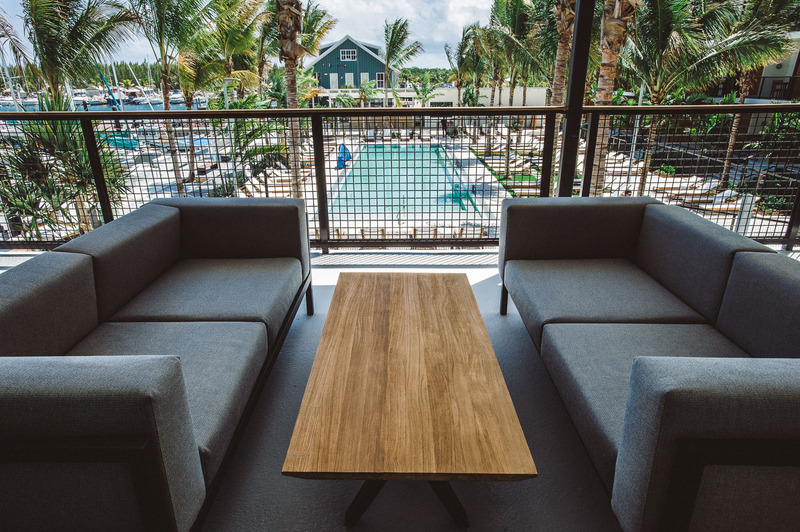 Take in views of the marina from your very own patio in one of our Saltwater Studios, featuring a walk-in shower and a sitting area with sofa sleeper. 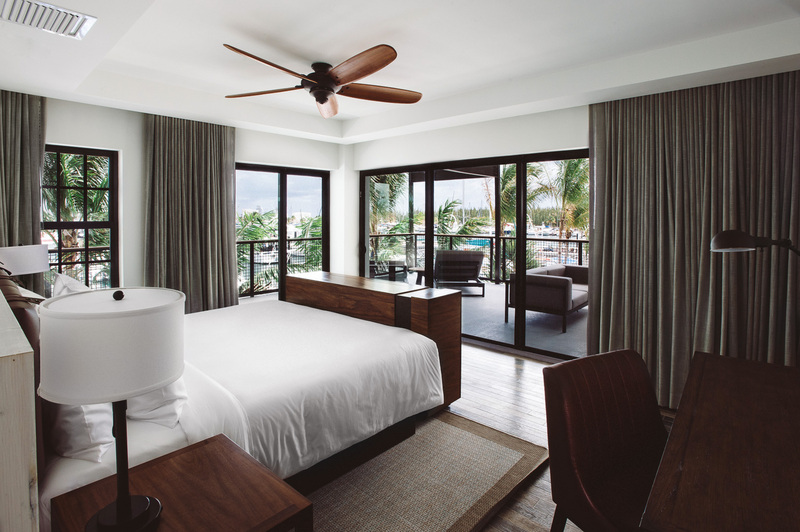 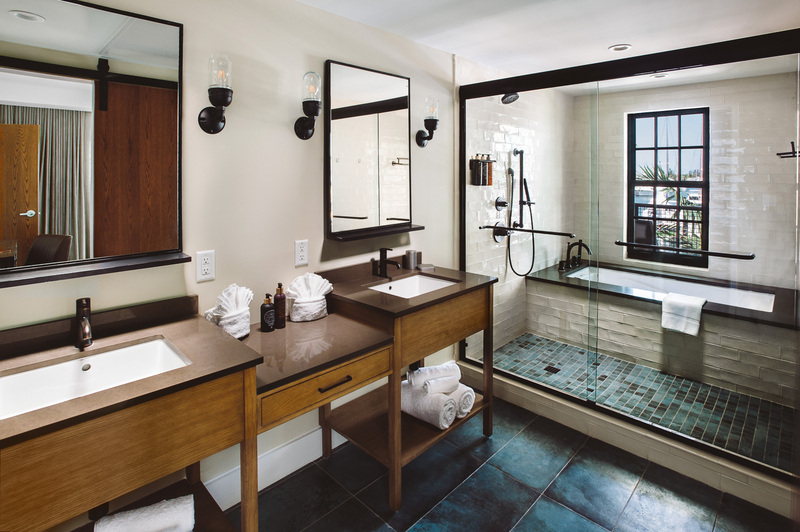 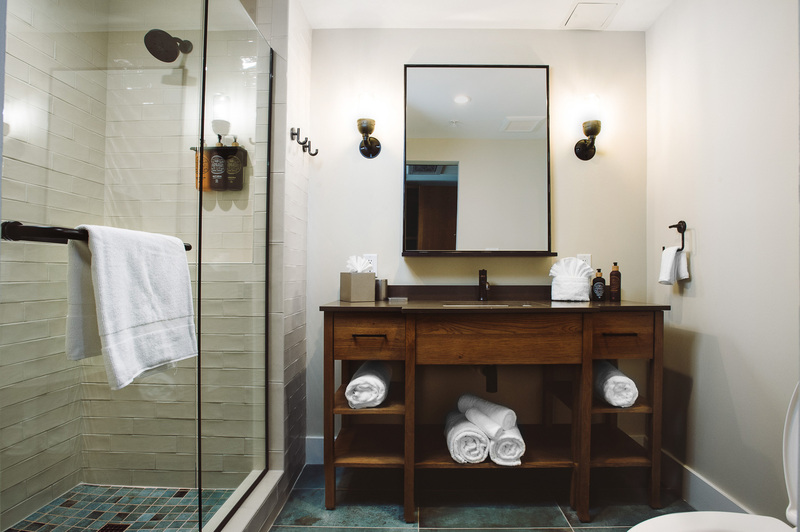 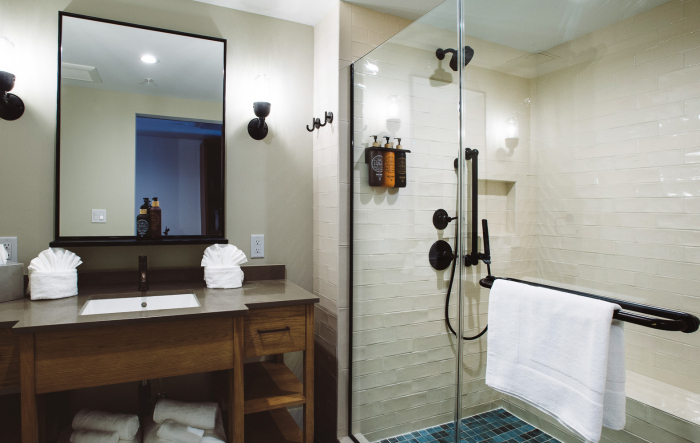 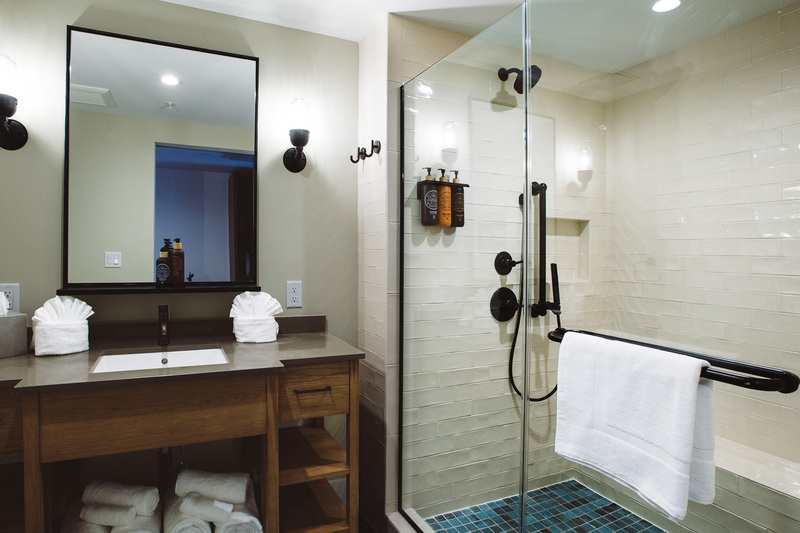 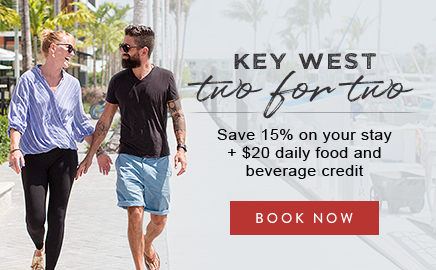 Set on the third floor overlooking the marina, this deluxe, 691-square-foot suite features a wet bar, a soaking tub with a standup shower, and the option to add two connecting Perry guest rooms with king beds. 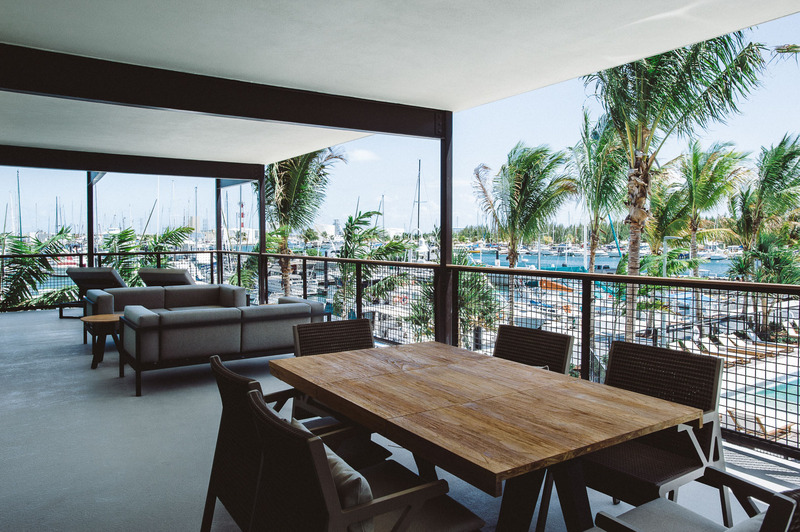 Enjoy pool and marina views from your 700+ square-foot wraparound porch in this spacious suite, featuring a separate living room with a sofa sleeper, a wet bar, one and a half baths, and the option of an additional room with two queen beds.